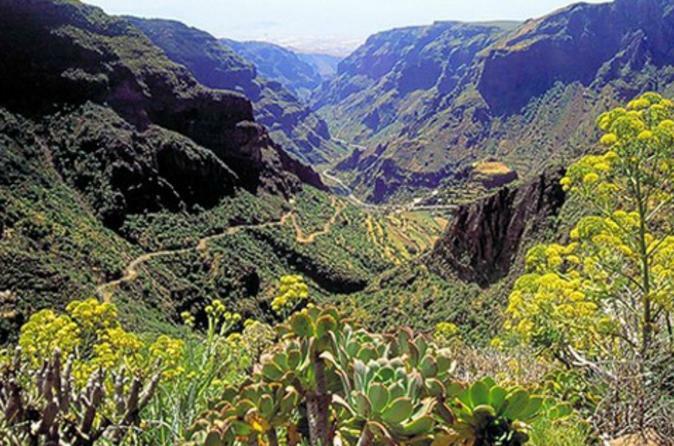 This full-day tour will help you save time and see three of Gran Canaria’s most popular sites in a day. You won’t have to worry about driving on unfamiliar mountain roads, as round-trip transport in a comfortable air-conditioned vehicle is included. Save time researching top sites to visit and enjoy having a comprehensive itinerary planned out for you. Highlights include Guayadeque ravine, the dunes of Maspalomas, and the resort town of Puerto de Mogan.